Every time I see some form of stumpwork I am blown away. I just can not wrap my head around how it works. Elizabeth at Sew in Love must have heard my cries for help because she created an easy to follow tutorial on Raised Needlelace/Stumpwork. 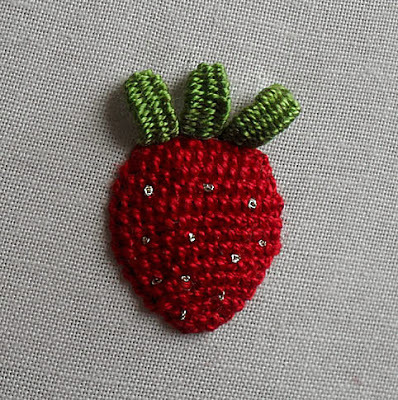 I am just beside myself to get started making this darling strawberry. It is the perfect time of year for this wonderful treat. Wouldn’t it just be the best on an apron or a warm weather cardigan?